Graphics chip maker Nvidia revealed the architectural details of its codenamed Project Denver processor for mobile devices. The custom-designed central processing unit (CPU) combines both processor and graphics capabilities on the same chip. The Santa Clara, Calif.-based Nvidia unveiled the details — which can help figure out how powerful the chip is — at the Hot Chips chip conference in Cupertino, Calif. Earlier this year, Nvidia took the wraps off two versions of its Tegra K1 processor, which has 192 graphics processing units based on its Kepler architecture. One of those versions has a 32-bit quad-core CPU with an additional battery saver core. The second version has a custom-designed 64-bit dual-core Project Denver CPU, which is compatible with Arm’s v8 processor designs. “With its exceptional performance and superior energy efficiency, the 64-bit Tegra K1 with Denver CPU is the world’s first 64-bit ARM processor for Android, and completely outpaces other ARM-based mobile processors,” Nvidia said in a blog post. Eight months after unveiling the 32-bit Tegra K1, Nvidia says that Project Denver is designed for the highest single-core CPU throughput and fast dual-core performance. The chip can process seven concurrent operations per clock cycle. It has several memory caches that keep its cores busy. It also has something dubbed Dynamic Code Optimization, which optimizes frequently used software routines so they run more efficiently. It doubles the performance of its raw hardware resources by converting ARM-based software code to optimized microcode routines. This adds some overhead to the processing, but Nvidia says that performance gains that result outweighs this drawback. The chip will go into Nvidia’s high-end products in mobile devices, and it will compete with Intel’s Broadwell chips as well as other chips coming from AMD. 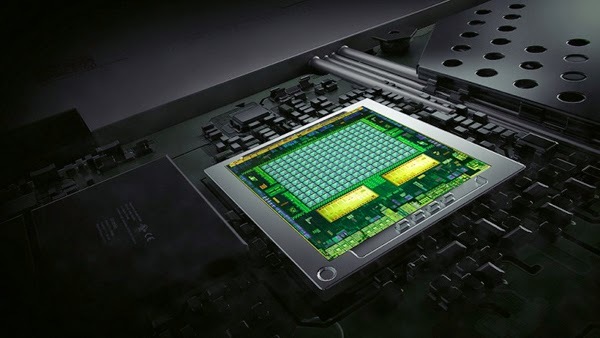 Nvidia says its dual CPU cores can achieve significantly higher performance than existing four-core or eight-core mobile CPUs. It will also feature good power efficiency. Nvidia said its partners will launch products with the 64-bit Tegra K1 later this year.